ORIGINAL STRENGTH BODY POWDER: Soothe & relieve skin irritation with GOLD BOND Medicated Original Strength Body Powder. Its triple action relief helps deodorize, cool, absorb moisture, & relieve itching, & leave you with a cool, clean, & refreshed feeling. 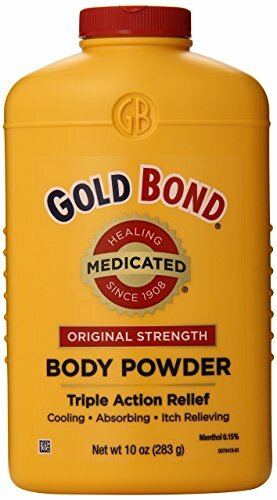 SKIN IRRITATION & ITCH RELIEF: GOLD BOND Original Strength Body Powder helps sooth & relieve skin irritations, absorb moisture & deodorize with the medicated powder known & trusted by generations. It's can also help relieve itching from minor cuts & burns. If you have any questions about this product by Gold Bond, contact us by completing and submitting the form below. If you are looking for a specif part number, please include it with your message.